ArtPlus ePix - Wallpaper Calendar! 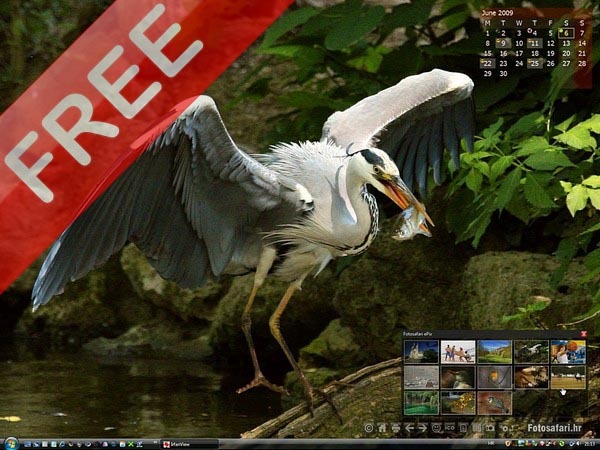 ArtPlus ePix wallpaper calendar is FREE software that brings a new image to your desktop each month, or more often depending on your preferences. The program also has a built-in personal diary and a simple calendar planner that you can view on your desktop or print wall calendars for your office and family. Here's how your screen might look with your free ePix image, a calendar at the top, and the image browser and control icons turned on. 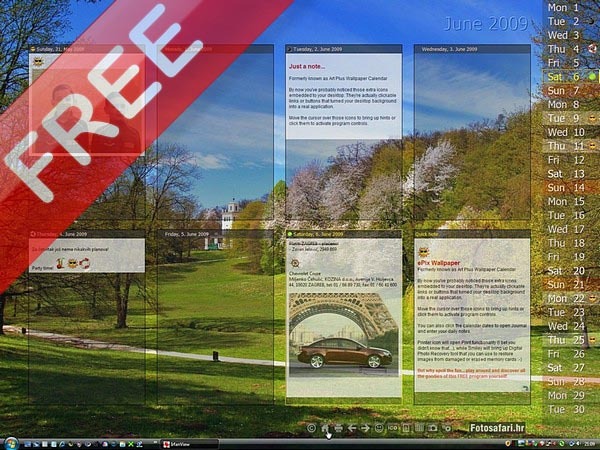 You can simply enjoy viewing beautiful images or display the clickable calendar and enter short notes directly onto the desktop. If you wish, you can even print your calendar designs and hang them on the wall, using a simple calendar designing tool built into the program. Should you ever need to get more creative, check out Art Plus Calendar Designer PRO, which can be purchased as an optional add-on. More complicated layout with right side calendar and weekly notes display. 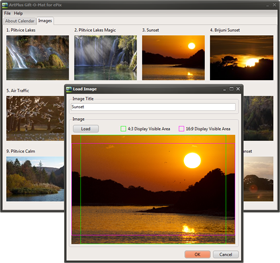 You can choose among multiple layouts and adjust transparency settings for all elements. It doesn't have to look so complicated. Actually, you can hide all notes with a single click. Remove all program elements and display the clean background image. Also with a single click, you can hide all icons, leaving only the Windows task bar at the bottom of the screen. This program is built for people who enjoy photography. You may be an amateur or professional photographer yourself. That's why each picture comes with full copyright information and a dedicated web page telling you more about the image. How it was shot, where, equipment that was used and special techniques that may have been applied. So, if you're interested in photography, you can always learn something by visiting the page or a featured photographer's website.